CIOs are betting big on public cloud, and more enterprises use Azure to close the gap with AWS. Still, managing the cloud remains a challenge. Organizations everywhere are moving forward with digital transformation plans and projects. Consequently, almost all of them (94 percent) are now “cloudified” – in other words, they all use the cloud in one way or another, a phenomenon described in RightScale’s 2019 State of the Cloud Report (now part of Flexera). As organizations become more familiar with a more digital way of doing business, many of them choose to work in a broader-based, more diverse IT landscape founded on a multi-cloud environment. In fact, multi-cloud is becoming the de facto standard. A solid 84 percent of the respondents in the RightScale report use more than four cloud providers, including both the public and private clouds. However, the public cloud is the top priority, cited by 31 percent of the respondents. Organizations say they plan to spend 24 percent more on the public cloud in 2019 than they did last year. It’s another sign that public cloud adoption keeps soaring – at three-times the rate of private cloud usage (24 percent vs. 8 percent). While half of the respondents say they spend more than $1.2 million per year on the public cloud, 13 percent of them spend more than $12 million a year. Azure continues to gain on AWS, especially among enterprises, where Azure adoption edged up from 58 percent to 60 percent; AWS adoption in this group is fairly stable at 67 percent. This puts Azure at 89 percent of the AWS adoption level, based on the overall number of respondents using each cloud service. Google is holding on to its third-place position, inching up slightly from 18 to 19 percent adoption. The other public cloud providers surveyed last year all saw greater adoption rates in 2019, especially the enterprises using VMware Cloud on AWS. These grew from 8 to 12 percent (a 50 percent growth rate); Oracle from 10 to 16 percent (60 percent growth rate); and IBM Cloud from 15 to 18 percent (20 percent growth rate). Alibaba brought up the rear, doubling from 2 to 4 percent. 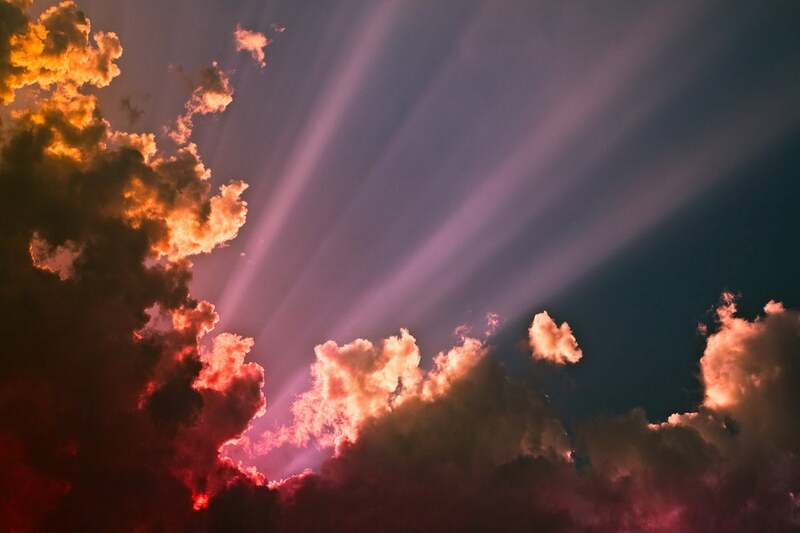 In the year since the previous State of the Cloud Survey, the percentage of enterprises that have adopted a multi-cloud strategy grew slightly, to 84 percent from 81 percent in 2018. Those planning a hybrid cloud strategy grew to 58 percent from 51 percent in 2018. The number of enterprises that use multiple public clouds or multiple private clouds decreased slightly. Thanks to increasing use of containers, Docker continues to exhibit strong growth; adoption of the open-source platform increased to 57 percent from 49 percent in 2018. Kubernetes, a container orchestration tool that leverages Docker, experienced more rapid growth, growing from 27 percent to 48 percent adoption. Many users also choose container-as-a-service offerings from the public cloud providers. The AWS container service (ECS/EKS) had 44 percent adoption in 2019 (the same percentage as 2018). Azure Container Service adoption reached 28 percent (up from 20 percent in 2018), and Google Container Engine grew slightly to reach adoption of 15 percent. Serverless proved to be the top-growing extended cloud service for the second year in a row, enjoying 50 percent growth this year compared to 2018 (24 to 36 percent adoption). Stream processing is tied for fastest-growing, increasing from 20 to 30 percent adoption. Machine learning, container-as-a-service, and IoT are the next fastest-growing. In 2019, most respondents tended to echo each other’s descriptions of the top 5 challenges. Larger enterprises, being more complex, experience higher-level challenges across the board. In this group, managing the cloud spend and cloud governance tied for the top challenge, at 84 percent each. Evidently, cloud users tend to underestimate the amount of wasted cloud spend. Respondents estimated 27 percent waste in 2019, while Rightscale’s findings suggest actual waste to be 35 percent. Despite an increased focus on cloud cost management, only a small number of companies have instituted automated policies to address this issue, such as shutting down unused workloads or rightsizing instances. This year, central cloud teams say their top responsibility will shift to managing cloud costs (68 percent in 2019 vs. 64 percent in 2018). Central IT teams also are focused on governance, including identifying applications appropriate for the cloud (62 percent), setting policies (59 percent), and using automated cloud policies (57 percent). Organizations are also becoming more cognizant of the trials of managing software licenses running in public clouds. The top challenges involve understanding the cost implications of licensed software running in the cloud (52 percent), ensuring that they are following the rules (42 percent), and the complexity of license rules in public cloud (41 percent).